Chinese restaurants have long had quite a dubious reputation here in Germany. Chop suey, sweet and sour pork, tacky lanterns and only bottled beer? I did that a few times during my early student days but then I lost interest. 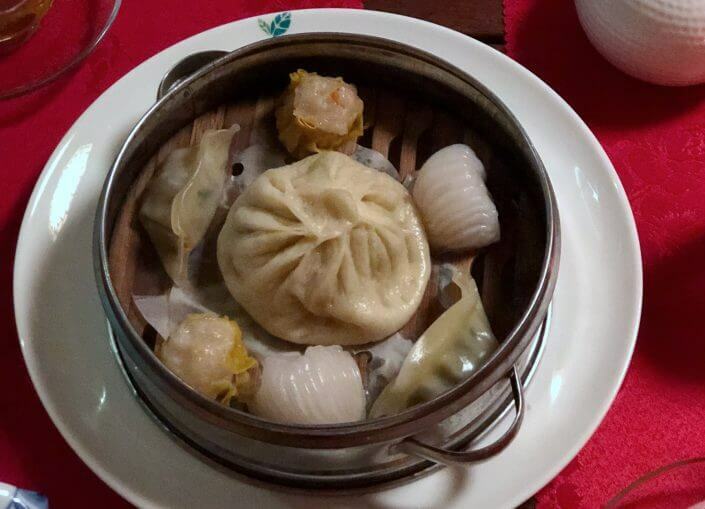 In fact, I became so indifferent to Chinese restaurants that I didn’t even notice them anymore. What I have noticed, however, is the increase in Chinese tourists visiting Cologne to see the cathedral, the Rhine and perhaps a few other sights. Their arrival has gone hand in hand with the arrival of new restaurants, which had escaped my attention for a while and which are said to serve authentic favourites. 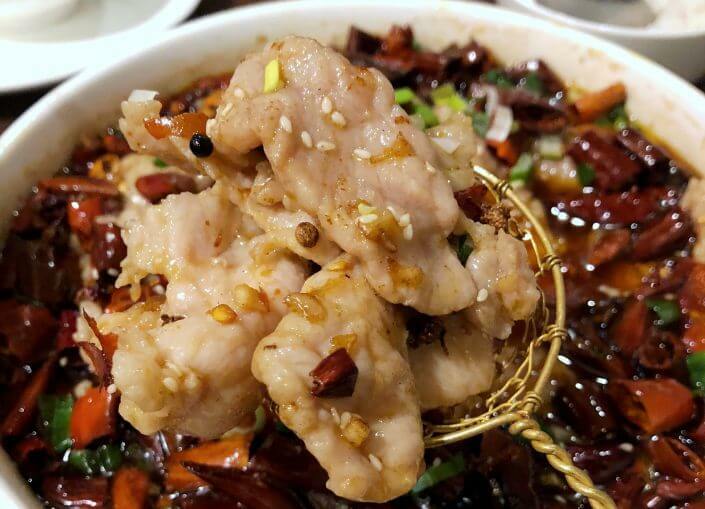 So I thought it was about time I gave Chinese cuisine a second chance and embarked on a journey into the world of duck hearts, chicken feet and jellyfish salad. These are the five restaurants I visited. Our first stop is a stylish, dimly lit place free of folkloristic frills. All of the people sitting at the tables are young Chinese and evidently cosmopolitan. 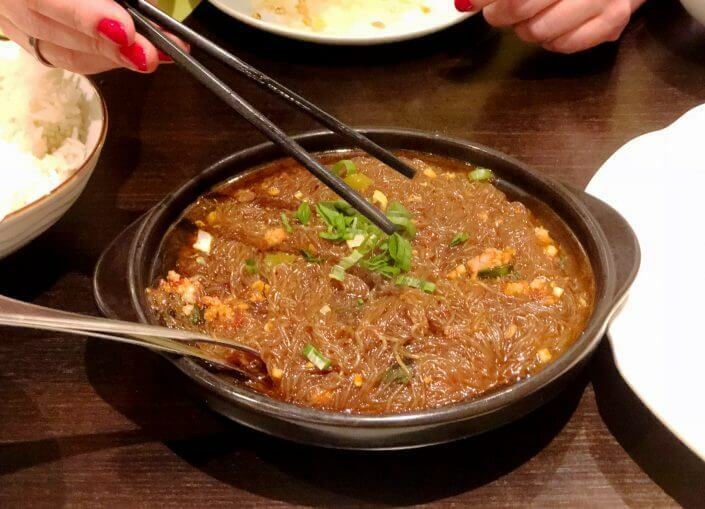 We’re feeling confident and a look at the long menu with its selection of Asian and European dishes proves us right. 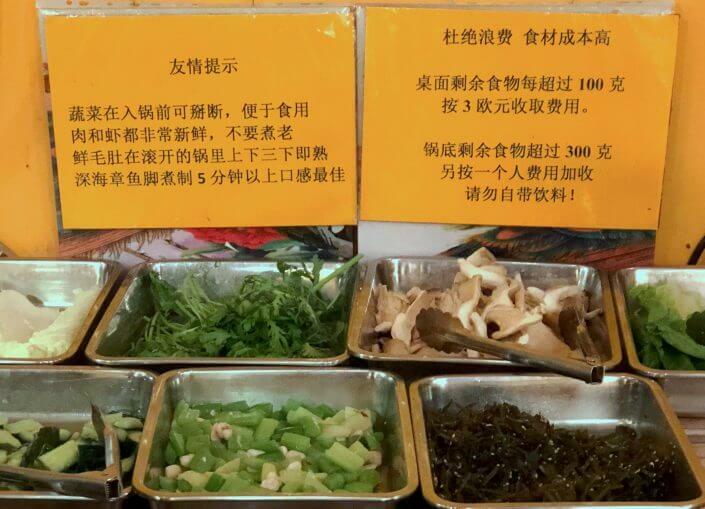 The former include pig’s ears, pig’s blood and intestines – a zero-waste approach to animal use, which is currently enjoying a revival in Europe too. 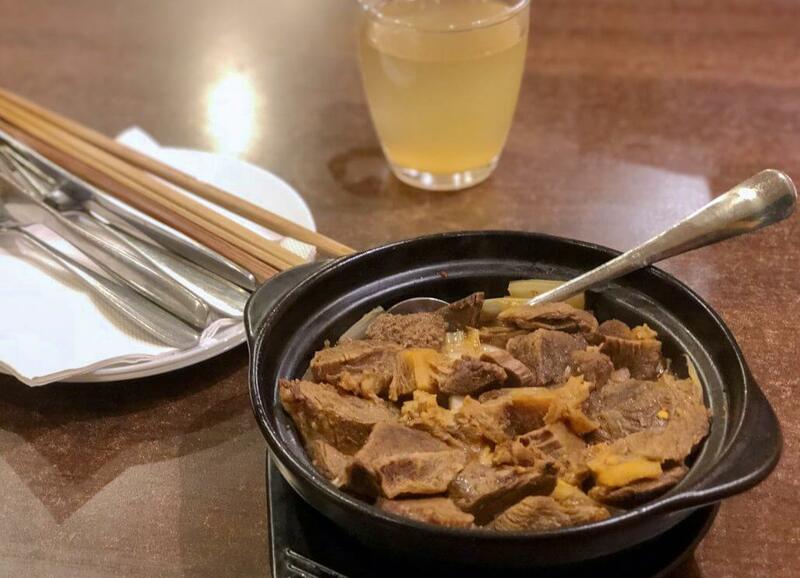 We order beef and glass noodles (hot!) and prawn omelette. 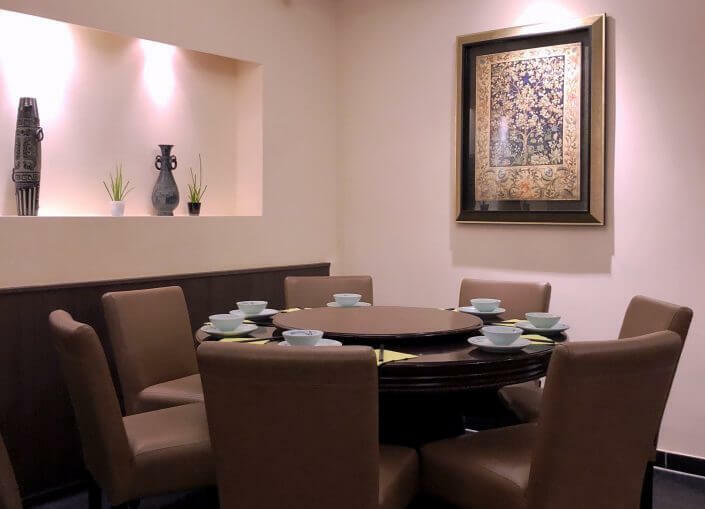 Both dishes come in large portions, nicely arranged on tasteful crockery. 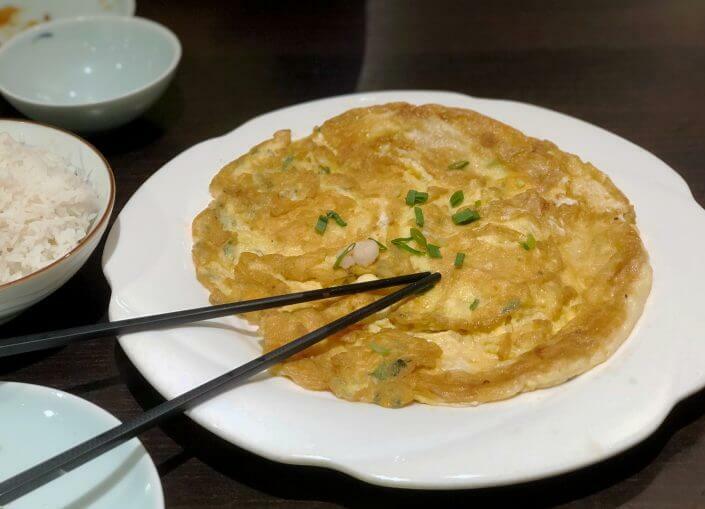 Eating the omelette with chopsticks is a little tricky but we manage. We wash everything down with Kölsch beer (from a bottle but served in a glass). It’s a good, no-risk start to our venture and one that offers some consolation for the fact that this used to be the home of a long-forgotten restaurant that bore my favourite name ever, “Bruce Lee Restaurant”. The next place has a much more rustic feel. The neon lighting and bare tables are more reminiscent of a snack bar, somewhat indecisively decorated with oriental ornaments. Having said that, there are lots of Chinese at the tables here too, as well as a few Germans. Most of them have obviously come for the house speciality: Chinese hot pot, a sort of fondue where guests dip meat and vegetables in an aromatic broth to cook it at the table. We decide to try something cooked by the kitchen staff instead, who are specialised in cuisine from the Sichuan and Beijing regions. So we order a beef broth (with lashings of beef and extra spicy as we requested) plus house-made, nicely seasoned dumplings and a good ginger tea to round it all off. It’s not very cosy but it is a good place to eat. We’re really eager to try this one. 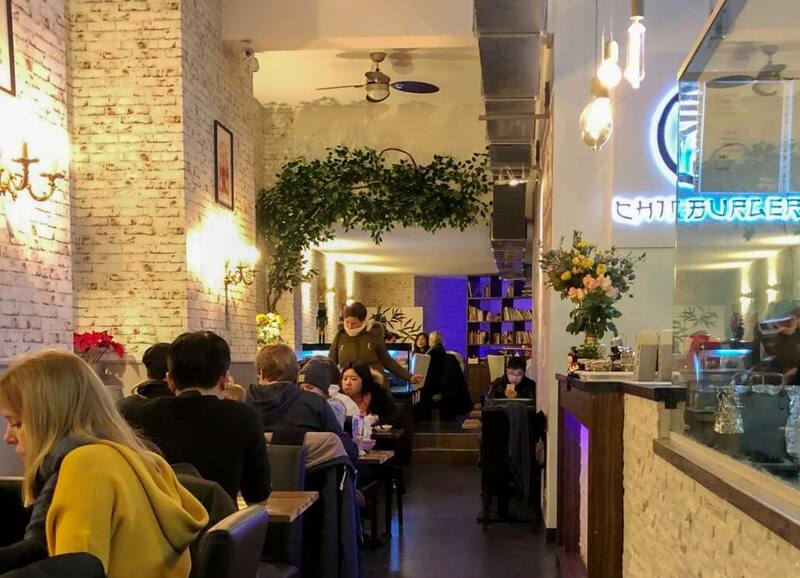 The Great Wall, not far from Cologne Central station, is already listed in a number of restaurant guides and is said to rank among Germany’s best Chinese restaurants. On the ground floor of this two-storey place, we peruse the menu, discovering things our taste buds are not quite ready for: spicy duck tongue (in around 80 different versions) or tofu with century eggs, for example. 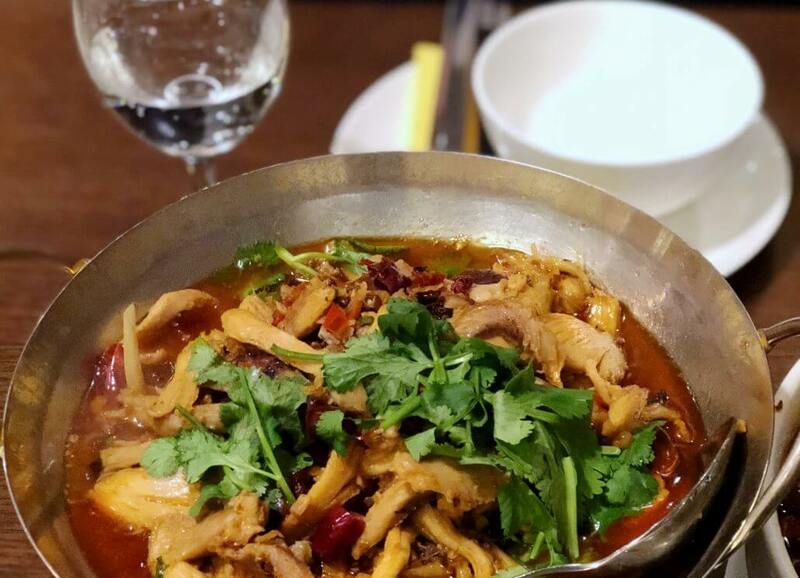 We finally decide on two creations, of which the Sichuan-style pork and vegetables takes us out of our culinary comfort zone for a different reason: it’s served in a stock that’s almost completely covered in chillies! We’re expecting the worse but once we’ve taken the meat and vegetables out with the sieve they’ve given us, we discover an astonishingly multifaceted flavour. It’s a similar story with the chicken (from the leg) with oyster mushrooms. And the portions are so big that we decide to try the starters next time. The Agnesviertel district isn’t far from Cologne Central either but the clientele are completely different. On Sunday evenings there are almost only Europeans sitting in this Chinese “local”. 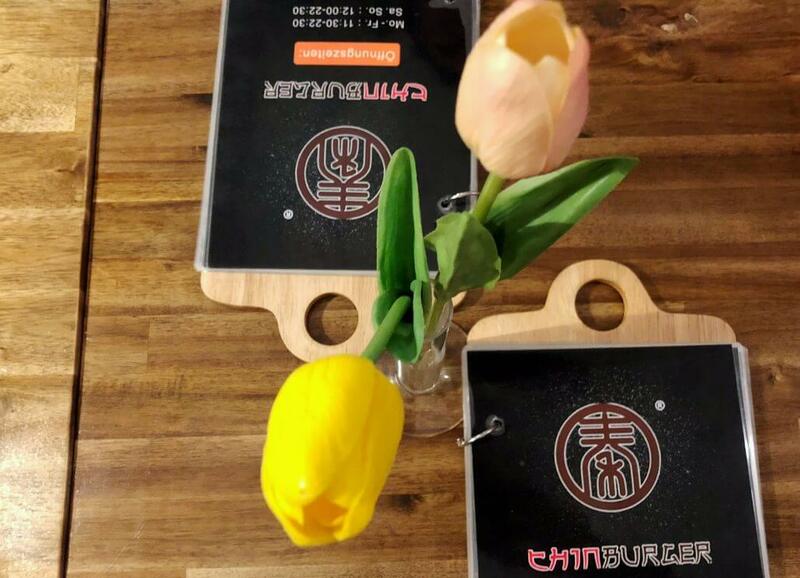 Just a few minutes after opening, there are already so many customers that we have to wait quite a while for the menus. They include a special tea list, from which we order the elegantly served mist tea (from the highlands). 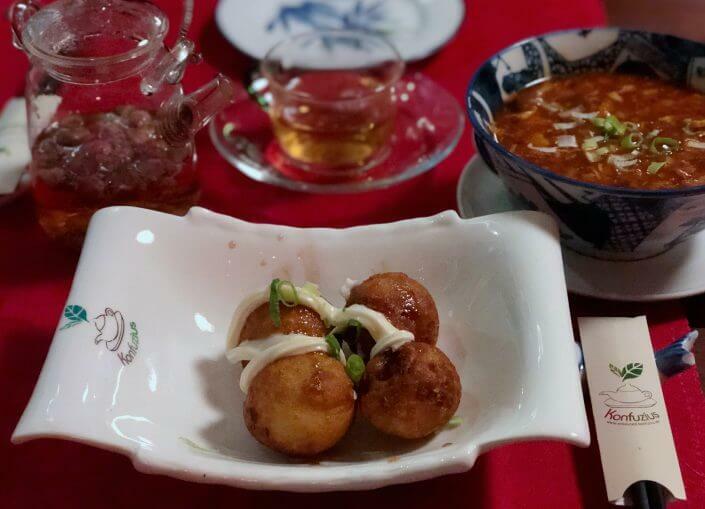 For the meal, we order dim sum, Peking soup and fried octopus balls. Not only does it all sound mainstream – it is mainstream. The ingredients are more familiar-tasting and the seasoning is milder. But it was a bit of a surprise to see Miracle Whip being used right in front of our eyes to garnish the dish. 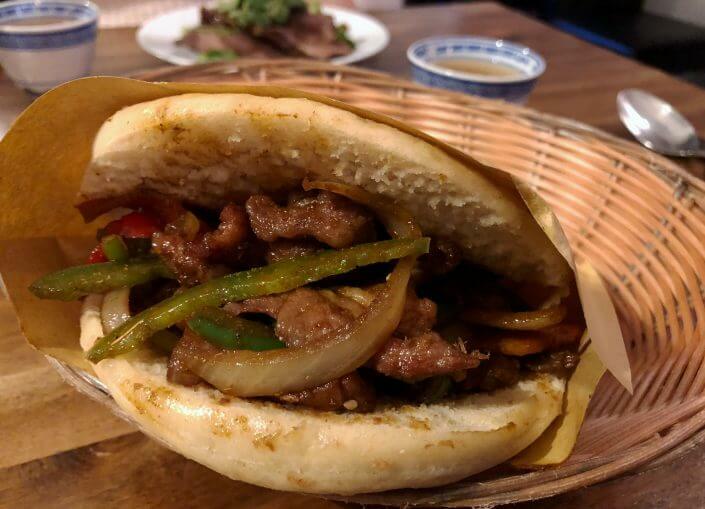 Another surprise was that you can get Chinese burgers in Cologne! 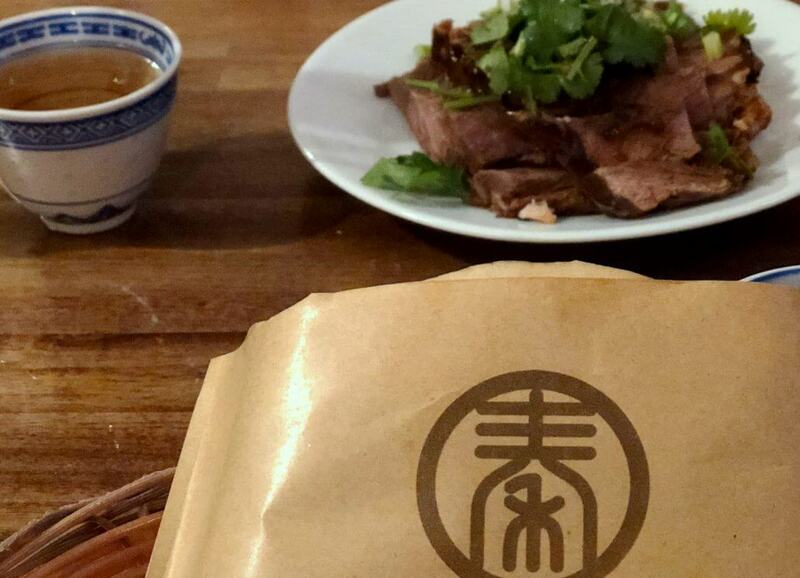 In fact, this relatively new restaurant claims the patty and roll combo originated in China! We’re served a fluffy flatbread with a filling similar to another omnipresent trend – pulled pork – but with oriental spices and vegetables. This yummy creation is eaten with the hands, just like in America. 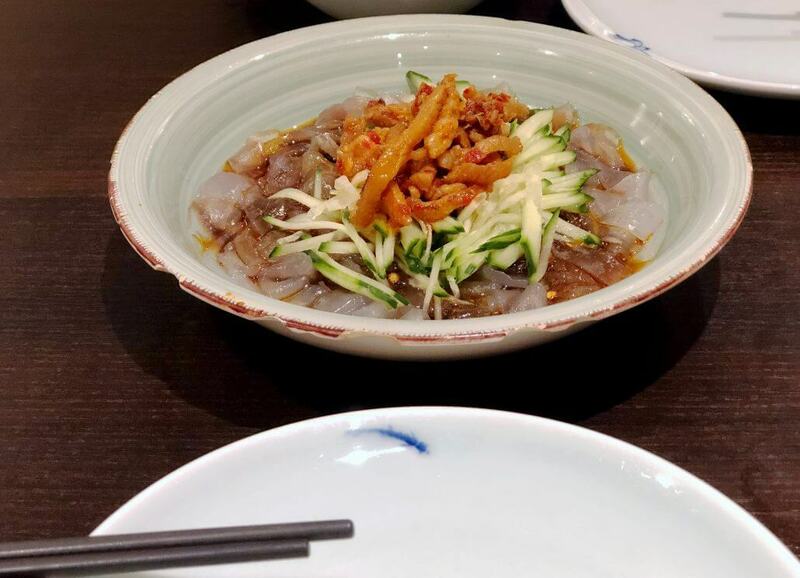 The second house speciality here is knife-shaved noodles, bringing our journey to an end as interesting as the book corner tucked away at the back of the restaurant.